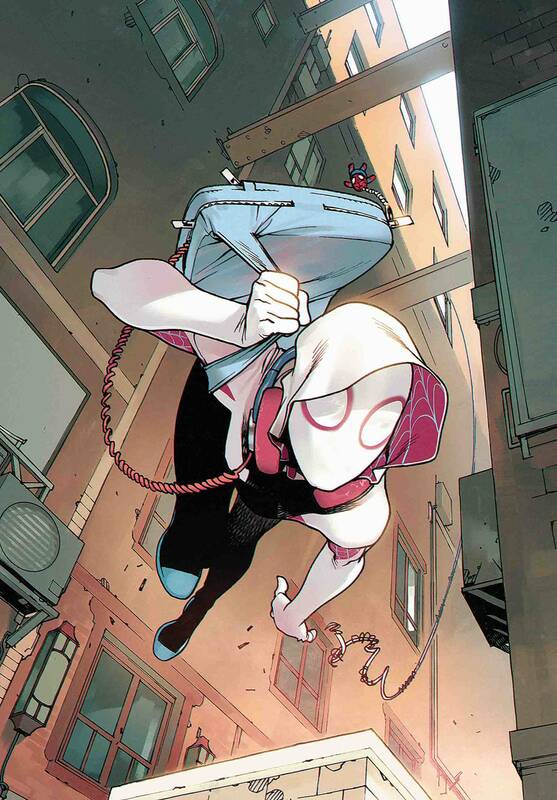 Here is your list of new comics that are on Final Order Cutoff for MONDAY 10/1/18! Final Order Cutoff is our last chance to adjust numbers before these title ship out to us. If you are interested in adding any of these titles to your pull, please message us ASAP! From Dark Horse a new horror series debuts called Whispering Dark #1, written by Christofer Emgard with art by Tomas Aria. An Army pilot confronts a supernatural horror in this thriller in the tradition of Lovecraft's At the Mountains of Madness and Coppola's Apocalypse Now! Hannah Vance believed her faith in God could survive anything. But when her helicopter is shot down behind enemy lines, she will fight and kill on an ever more savage battlefield, desperate for a way home. On the horizon, an evil waits for her-and freedom, of a sort. In stores 10/24/18! From DC Batman Secret Files is on FOC with an in store date of 10/31/18. Delve into Batman's case histories and discover brand-new stories by some of comics' most exciting talents. 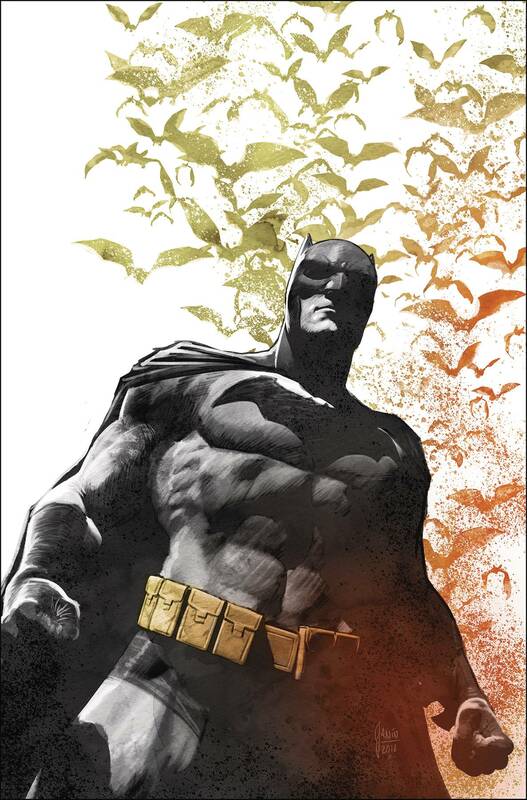 The BATMAN team of Tom King and Mikel Janin provides a framing sequence, setting up our hand-picked teams of creators to take a look at Bat-mysteries past and present. Featuring a bevy of Batman villains, including a look at how the Scarecrow's fear toxin affects the common man, and a special story written by Tom Taylor with art by Brad Walker that teams the Dark Knight Detective with Detective Chimp. From the SANDMAN UNIVERSE #1, it's the return of Neil Gaiman's magical morality fable in an all-new series written by Kat Howard (Roses and Rot, An Unkindness of Magicians) and drawn by Tom Fowler (DOOM PATROL)! Timothy Hunter may be destined tobecome the most powerful magician in the universe, but he's still a London teenager, and having magical abilities complicates things more than it helps. It's not like he can use magic to pass his exams, stop being bullied or convince his cute friend to date him. And while Tim's trying to live his life, there are cultists who want to kill him, believing his power will eventually corrupt him into becoming a merciless mage. Oh, and those are the good guys. 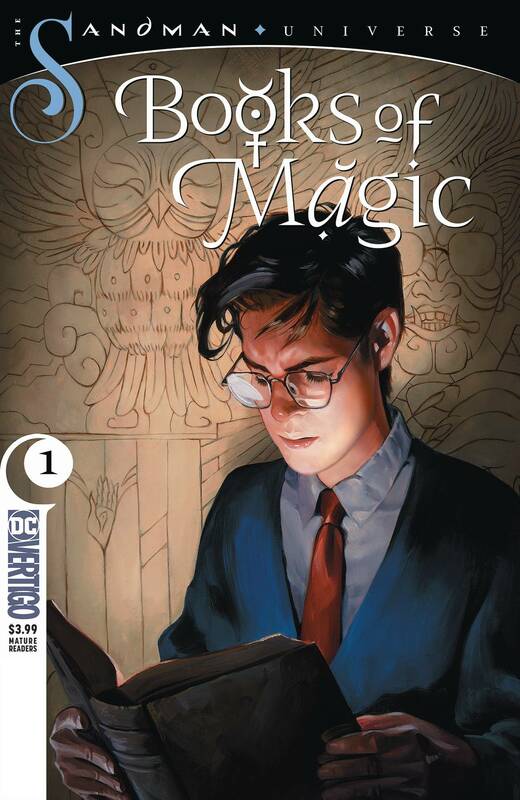 Luckily, his new substitute teacher is more than she appears, and may be able to help Tim discover the mystery behind the Books of Magic...In stores 10/24/18. 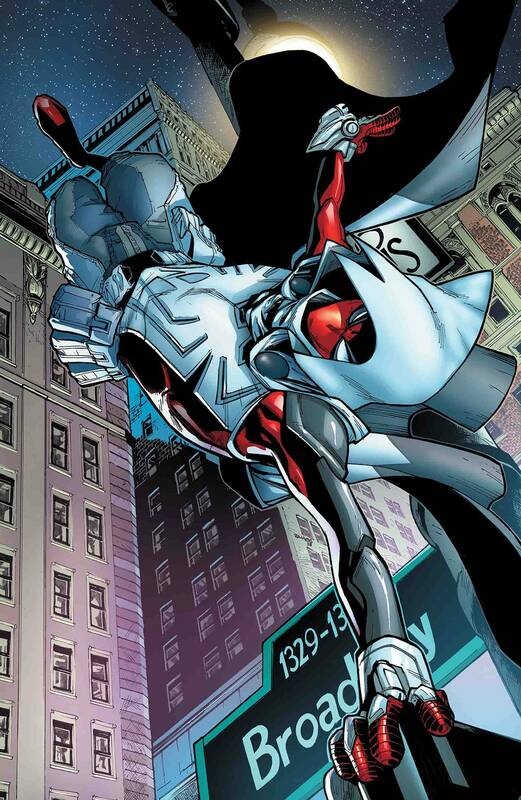 Lastly from DC, Old Lady Harley #1 is on FOC, written by Frank Tieri with art by Inaki Miranda. After liberating New York City from her now-feral Gang of Harleys, poor Harley wants nothing more than to slip back into retirement in her coastal (and heavily guarded) paradise. But the Laughing Boys Gang has another idea-they'll follow her to the ends of the Earth, to drag her back to their leader! It can't actually be...him! Right?! He couldn't possibly still be alive, could he? 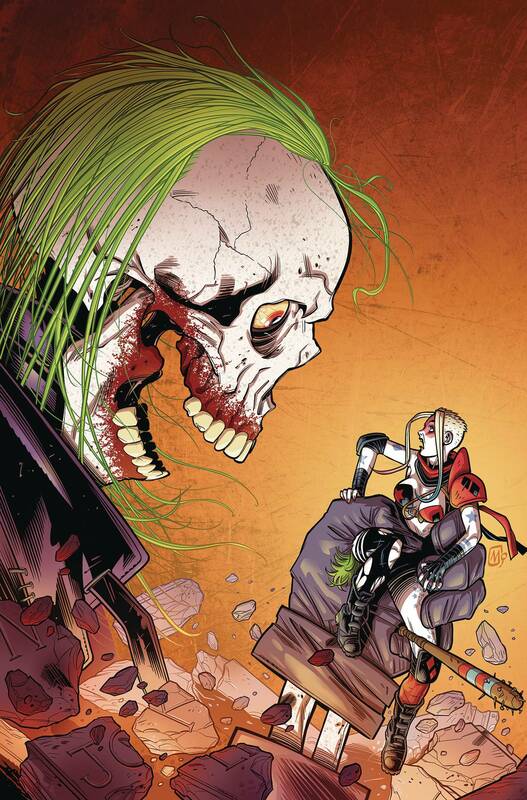 After all...Harley killed him herself with her bare hands! Should she turn to President Power Girl for help? Or flee to the 51st state, Atlantis? Step into an insane vision of a future DC Universe we all better hope we don't live to see! In stores 10/24/18! From IDW Judge Dredd Toxic #1 is on FOC and in stores on 10/24/18! Celebrated British writer Paul Jenkins takes his first shot at Judge Dredd! 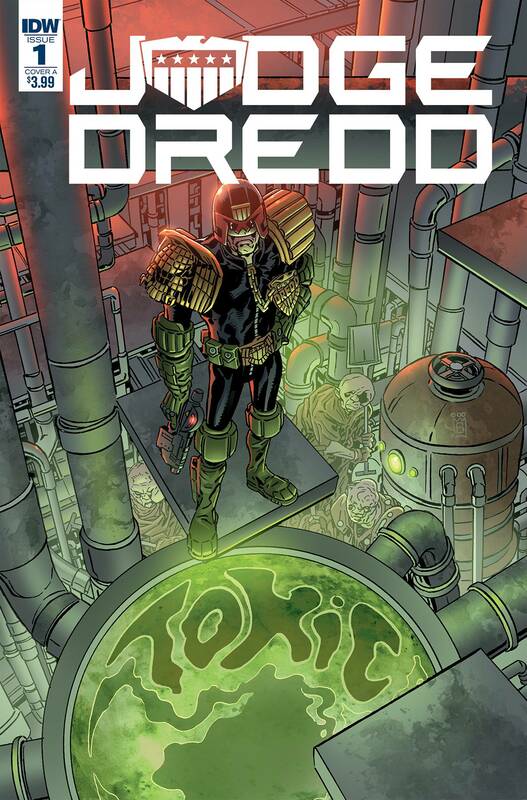 The death of a genetically modified toxic waste worker leads to a startling discovery that fuels anti-immigration fervor and threatens to spill over into the streets of Mega-City One. 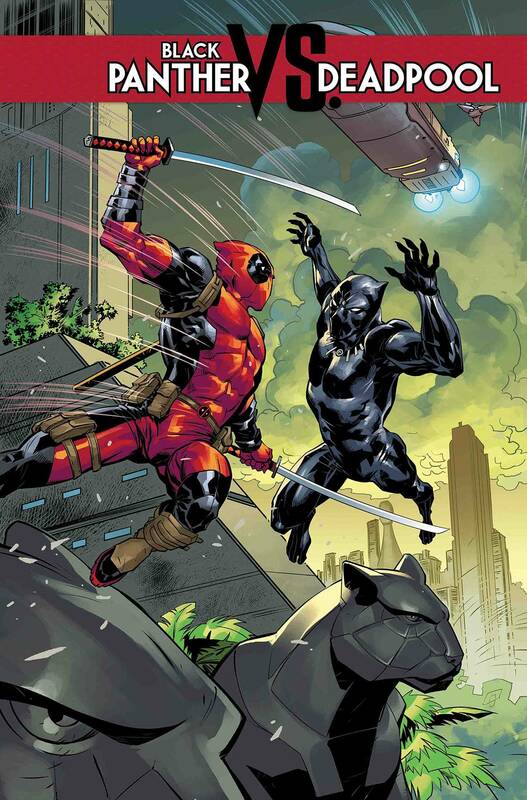 Cutting satire and gritty action from writer Paul Jenkins (Hellblazer, The Inhumans) and artist Marco Castiello (Star Wars)! 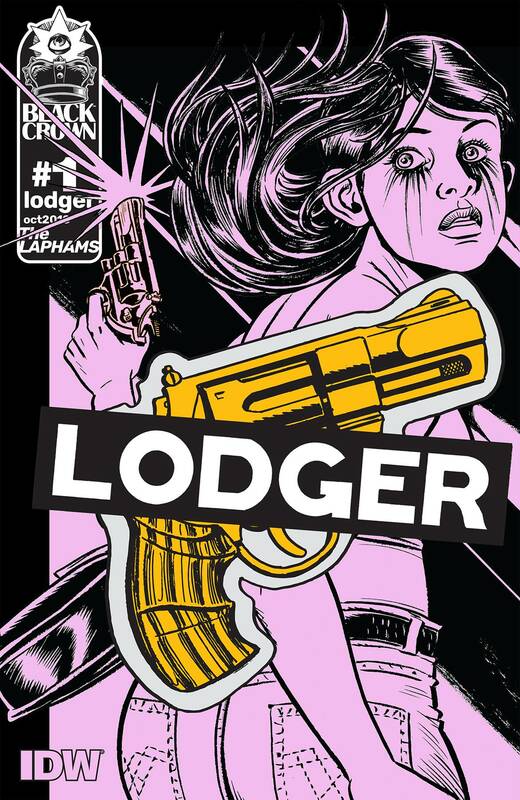 Also from IDW and their Black Crown imprint, on FOC this week is Lodger #1. A handsome drifter murders his way through the midwest while hiding in plain sight as a travel blogger, leaving families in shreds and body bags in his wake. Ricky Toledo was fifteen when she fell hard for "Dante"-until he killed her mother and got her father sent to prison for it. It's three years later, and Ricky will stop at nothing to get revenge. Lodger is a dark, grimy, psychological thriller-a game of cat and mouse between a broken young woman and a serial killer-and like all the best crime noir... a twisted love story. 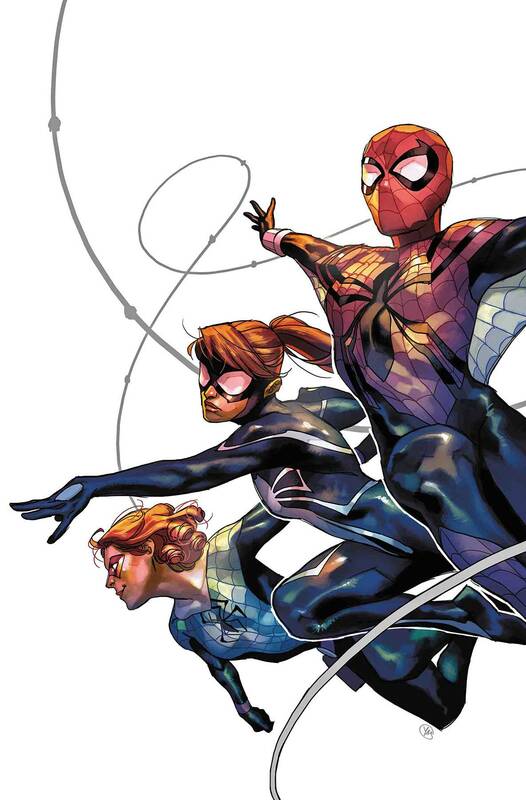 Lastly from Marvel coming out on 10/24, What If? Thor #1 drops the hammer! When young THOR'S father falls to the King of Giants, his life is forever changed. 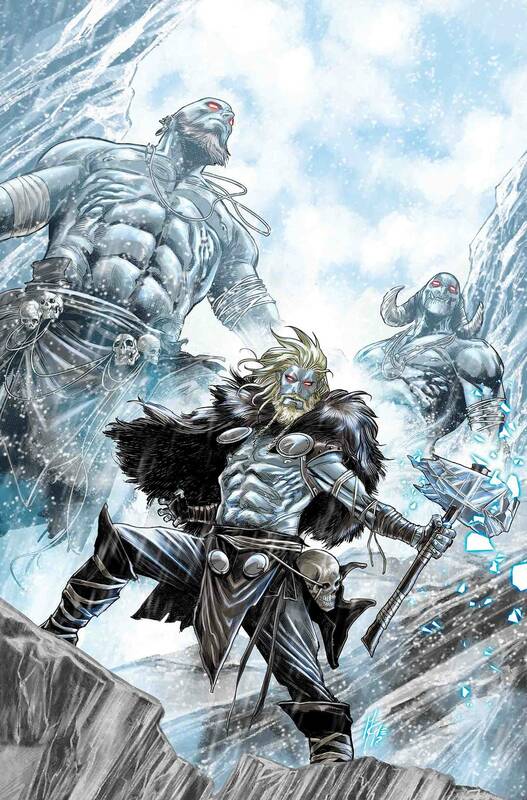 He's ripped from Asgard to be raised in a world of persistent winter, learning the brutal way of life in Jotenheim. But what happens when the runt of the giants, LOKI, is under the shadow of his new step-brother? From Dynamite, KISS is back! 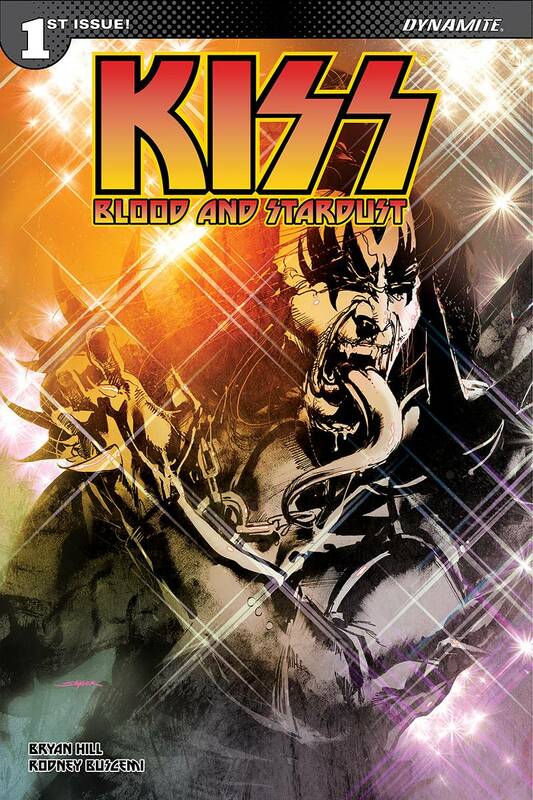 Kiss Blood & Stardust #1 launches on 10/24! KISS returns to rock'n'roll and save the world! An immortal cabal is taking the lives of innocents and the only ones who can stop them are KISS! The only problem...they are dead. And now they have to make a deal with a demon to save their souls and return to Earth to fight evil! Join Bryan Edward Hill (The Wildstorm: Michael Cray, Postal) and Rodney Buchemi (Death of Hawkman, The Librarians) as they bring you the KISS series we have all been waiting for! Also from Dynamite on 10/24, prepare for invasion with Mars Attacks #1! Spencer hasn't finished a dang thing in his life. So when he goes to visit his dad to see if maybe he can borrow some money, the last thing on his mind is global survival. Now Spencer and his father are on the run, trying to avoid being spaceray'd by a bunch of destruction happy Martians, heck bent on zapping them dead! Writer Kyle Starks (Rick and Morty, Rock Candy Mountain) and artist Chris Schweizer (The Creeps, Unbeatable Squirrel Girl) bring you the face melting experience of a lifetime with Mars Attacks for the first time at Dynamite! Finally from AfterShock, a new series debuts from Steve Orlando and Matthew Dow Smith called Dead Kings #1! Sasha never saw his younger brother...until the secret police made him disappear. Sasha Vasnetsov left Thrice-Nine (the dirty folklore world that limps along in the wreckage of a Technomagic War) thirty years ago and never looked back. But word that the secret police have sent his brother Gena to a work camp for the socially degenerate drags him back, with a promise to free Gena and return him to their mother before her fiftieth birthday. The only problem? Sasha isn't a fraction of the tough guy he tries to be, so if he's going to break back into Thrice-Nine...he'll need help. Sasha's only hope is Maria Kamenaya, a former Technomagic Warrior with hundreds of enemy kills to her name, betrayed by the country that made her when her honor conflicted with their agenda. Thrice-Nine took Sasha's brother, and it took Maria's heart. This quest is how they get both of those things back, in the steaming, lawless land of decapitated states...the land of DEAD KINGS.